Swept up in a whirlwind courtship, Katja and Wasyl begin life anew in a Ukrainian settlement of Western Canada. The dusty Canadian prairies promise hope and independence, but when war breaks out between the old world and the new, their newfound stability is shattered. Rumours of the internment of Ukrainian-Canadians haunt the new settlers. Would the country they love betray them like this? 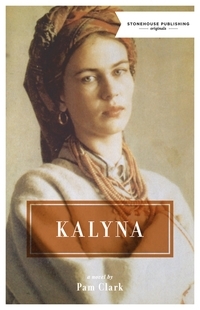 An incident throws the couple and their young children into turmoil, and Katja faces the prospect of enduring a Canadian winter without Wasyl by her side. The close community of Edna-Star bands together during this trying time, but the help of the suave Dr. Smith holds its own danger. Will the closely-knit family be able to weather this separation, or will they be reunited before all hope is lost?